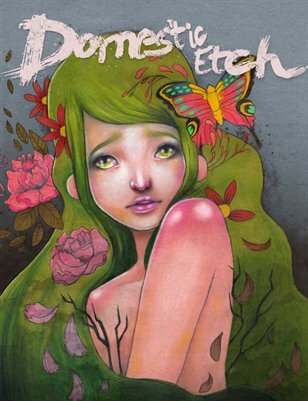 The “Growth & Decay” themed issue of NY and Providence based art/design magazine "Domestic Etch" features interviews with wanderlust-inclined artist Pat Perry, Miami illustrator Danny Brito, oil painter Kris Knight, and the talented doodler and poster designer Sam McKenzie. Also included are original works exploring the theme of “Growth & Decay” by over 20 artists, including Sashiko “Wishcandy” Yuen, Devon Anna Smith, Lilly Piri, Burton Durand (Of Horse_eComics), Jared Chapman, Daniel Mackie, Tyler Parker, Nate Koehler, and many more! We promise reading it will definitely help you grow, without the decay.